Our thoughts create our energy. Energy directs our behavior patterns. Our behavior dictates our current life patterns, overall health and happiness. Self awareness is the key to understanding how your life is unfolding. Re-aligning the health of your energy and life patterns is the map to your freedom. A program for adults and teens. Take your Self-Confidence and Self-Awareness to the next level. Learn how to overcome life’s challenges in RiTika’s 8 step formula that will help you to find purpose, joy and fulfillment. 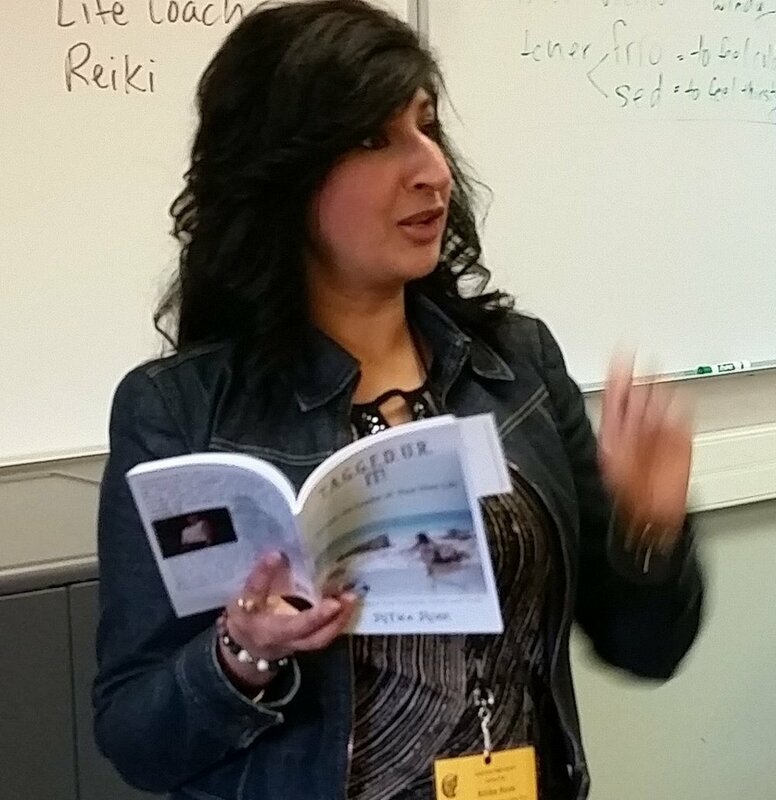 Join RiTika in her book course TAGGED UR IT! Become the Leader of your Own Life. The daily demands of today’s lifestyle, work and school force, plus outside influences, can produce undesired inner and outer stress with deeper questions about life. Allow your communities to gain the motivation and strategy to live a more balanced, healthy, peaceful and purposeful life experience.